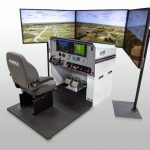 The Finnish Aviation Academy (FinAA), Pori, has received EASA FTD 2 and FNPTII qualification on their two FRASCA built Diamond DA42 NG FSTDs that were delivered earlier this year. 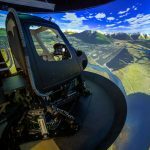 The two devices feature Frasca’s TruVision™ Global visual system, Frasca’s Simplicity™ Instructor Station and many other features. 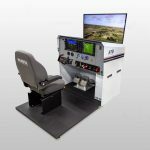 FinAA has a large fleet of FRASCA simulators including the newly qualified DA-42’s, two Phenom FTDs, a KingAir FTD and an EC135 Helicopter FTD. 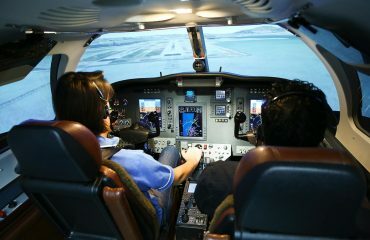 “The Finnish Aviation Academy has been a customer of ours for over 25 years. 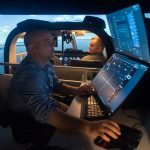 We are proud to continue to provide them with simulators to meet their exacting standards ,” stated John FRASCA, President, FRASCA International.